At Industrial Bearings & Services, we have made bearings part of who we are to better serve our customers in the Houston and Southeast Texas area at large. From ball bearings to track runner bearings, we know our bearings. Our leadership team has a collective experience of 200 years at your service. From choosing the bearing to pickup or delivery, we have the experience and supplies to get you what you need, when you need it. Some our leading brands include FAG, INA, NTN, Nacchi, Mathews Bearing, General, Auburn and more. FAG and INA are both developed and produced by Schaeffler. They specialize in rolling bearings, spherical plain bearings, plain bearings and linear products. They also offer maintenance products, including lubrication, alignment, mounting and dismounting and condition monitoring for the bearings. NTN bearings produces ball bearings, tapered roller bearings, cylindrical roller bearings, spherical roller bearings, needle roller bearings, mounted units and pillow blocks, as well as additional tools, kits, hubs and joints. For more on our products and brands, please contact us. The various types, sizes, and brands are all available to make sure you get the product you need. If you are in need of custom bearings, we even offer services from the design phase with OEM engineers through MRO Supply. 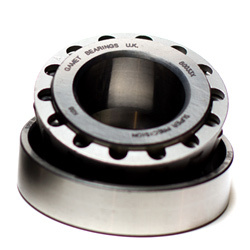 Here you can detail out every aspect of your bearings, from the main operation, to the load, speeds and play. Our goal is to help your business obtain the products you need, when you need them. With our 24/7 Emergency services, you can get what you need immediately. No matter your needs, whether it is a new purchase or a replacement, for an energy plant or an oil & gas company, our team is ready to help you. To get started and to request a quote, call or email us for more information on bearings. For more information on services and quotes, feel free to contact us, or visit us at our Huston location.